Viking took delivery of Viking Orion yesterday (June 7), the company’s fifth ocean ship. The delivery ceremony took place at Fincantieri’s shipyard in Ancona, Italy. On June 14, the ship will arrive in Livorno, Italy, where it will officially be named by its ceremonial godmother, Dr. Anna Fisher, American chemist, emergency room physician and retired NASA astronaut. The ship’s name was inspired by the prominent constellation and Dr. Fisher’s work on NASA’s Orion exploration vehicle project. 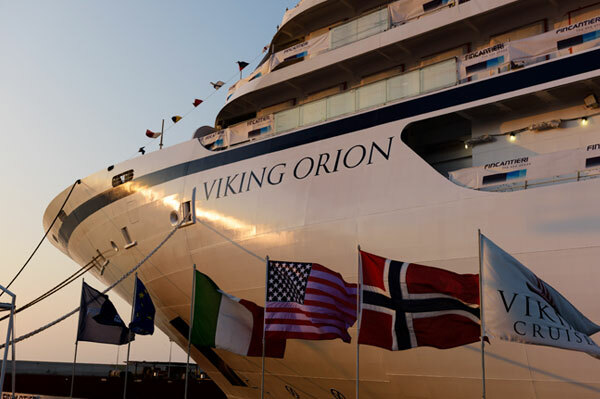 Viking Orion will spend its maiden season sailing the Mediterranean, before journeying to Australia, Asia and Alaska, where it will be Viking’s first ship to call on the northernmost US state. Viking’s ocean ships have a gross tonnage of 47,800 tons, with 465 staterooms that can accommodate 930 guests.